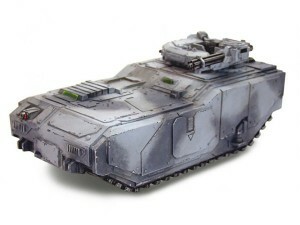 Graven Games has a review up of several tanks available from Pig Iron Productions. Are these the right tanks for you? Find out in the review. Today we’re excited to bring you three reviews in one, a collection of huge war machines from Pig Iron Productions. We already know from our previous reviews that Pig Iron Productions make some great infantry models (see our other reviews here), so we’re excited to see what their vehicles have to offer. Each of these futuristic vehicles is 28mm scale and are based around the same large armoured chassis.